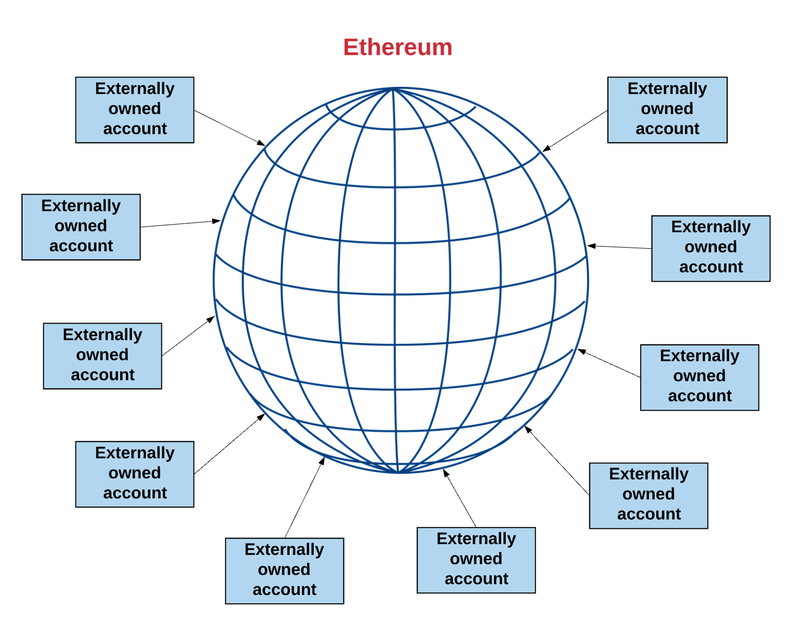 The global “shared-state” of Ethereum is comprised of many small objects (“accounts”) that are able to interact with one another through a message-passing framework. 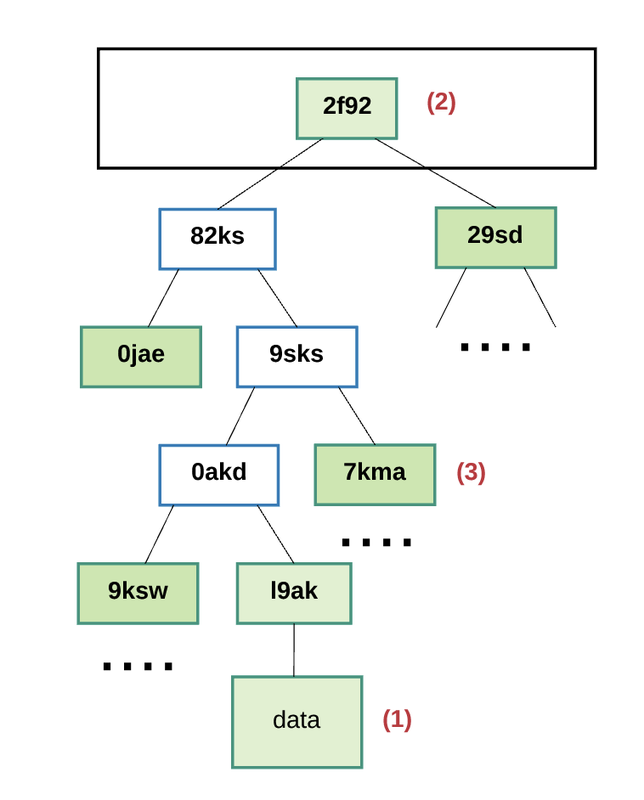 Each account has a state associated with it and a 20-byte address. 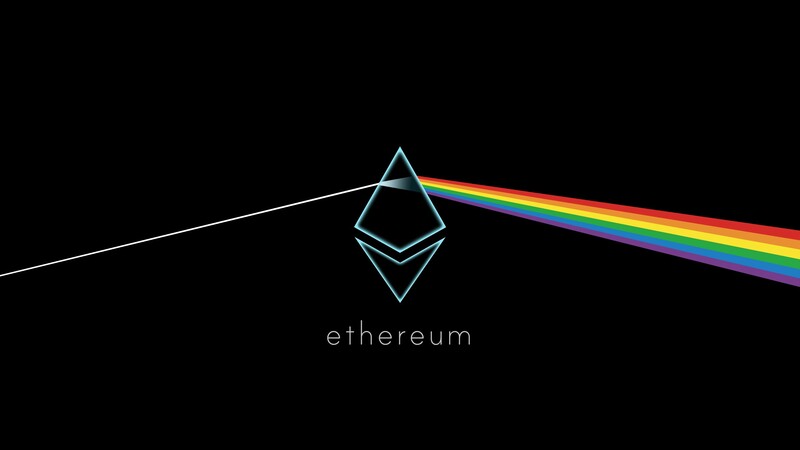 An address in Ethereum is a 160-bit identifier that is used to identify any account. 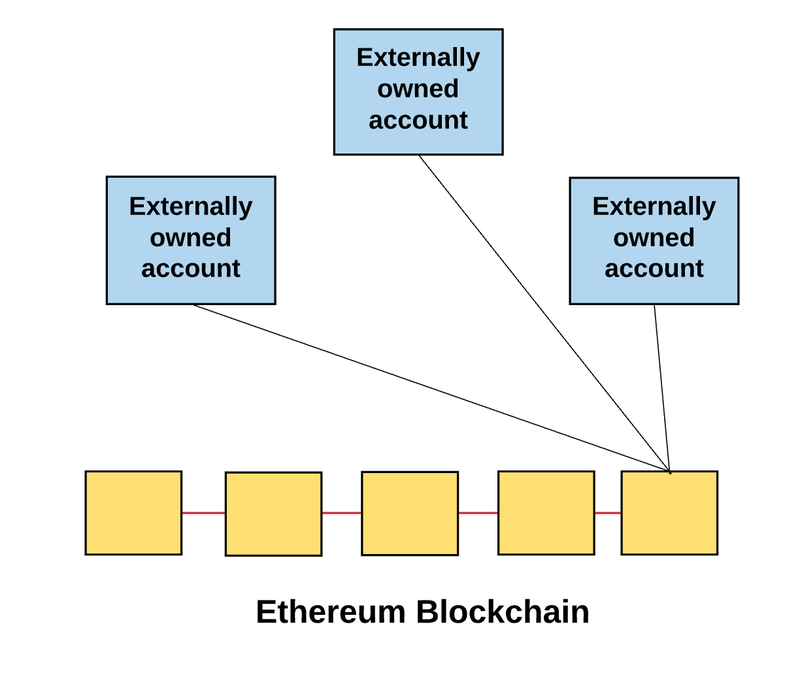 Externally owned accounts, which are controlled by private keys and have no code associated with them. Contract accounts, which are controlled by their contract code and have code associated with them. nonce: If the account is an externally owned account, this number represents the number of transactions sent from the account’s address. If the account is a contract account, the nonce is the number of contracts created by the account. balance: The number of Wei owned by this address. There are 1e+18 Wei per Ether. 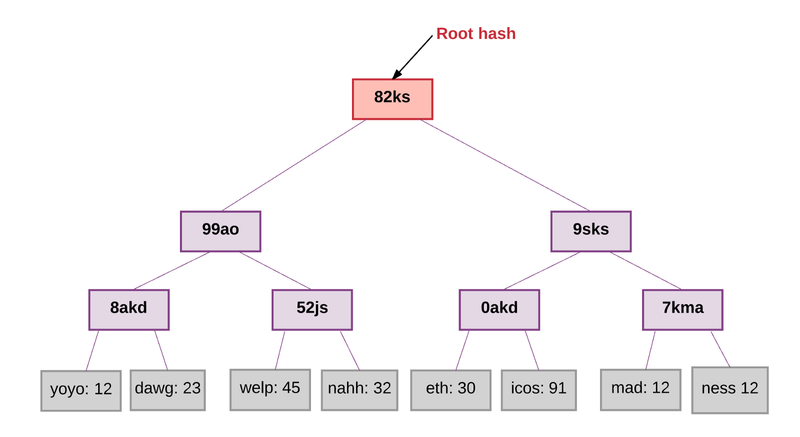 storageRoot: A hash of the root node of a Merkle Patricia tree (we’ll explain Merkle trees later on). This tree encodes the hash of the storage contents of this account, and is empty by default. 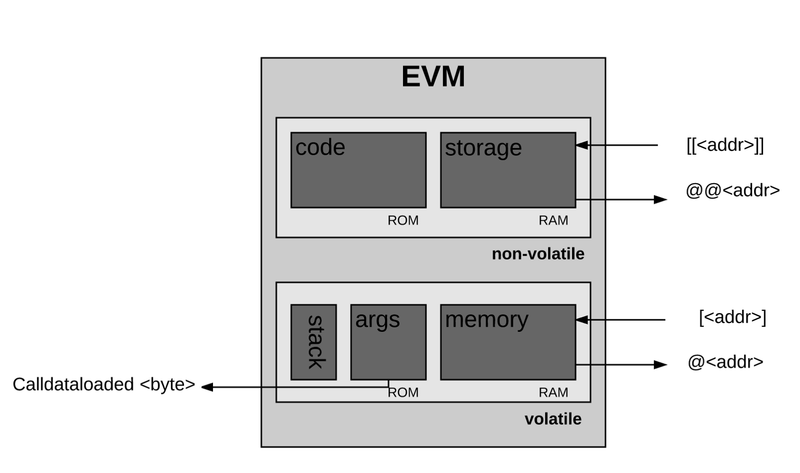 codeHash: The hash of the EVM (Ethereum Virtual Machine — more on this later) code of this account. For contract accounts, this is the code that gets hashed and stored as the codeHash. For externally owned accounts, the codeHash field is the hash of the empty string. In the case that the sender does not provide the necessary gas to execute the transaction, the transaction runs “out of gas” and is considered invalid. 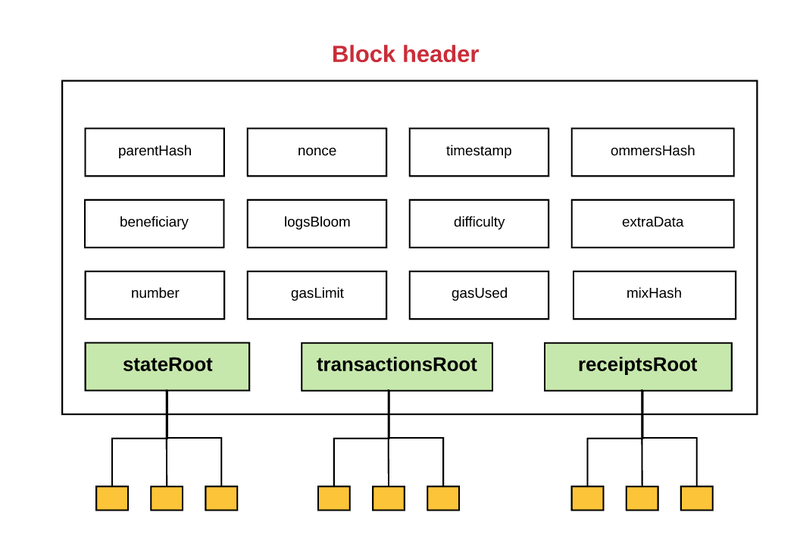 In this case, the transaction processing aborts and any state changes that occurred are reversed, such that we end up back at the state of Ethereum prior to the transaction. Additionally, a record of the transaction failing gets recorded, showing what transaction was attempted and where it failed. And since the machine already expended effort to run the calculations before running out of gas, logically, none of the gas is refunded to the sender. There are two types of transactions: message calls and contract creations (i.e. transactions that create new Ethereum contracts). nonce: a count of the number of transactions sent by the sender. 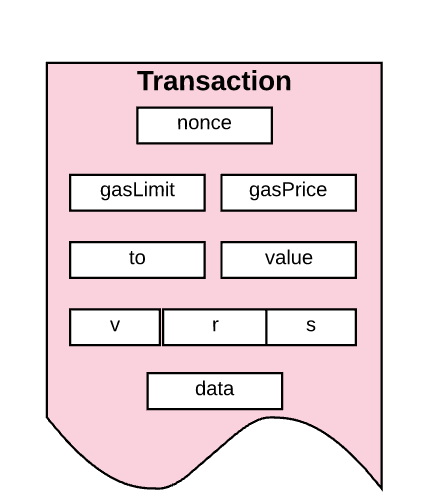 gasPrice: the number of Wei that the sender is willing to pay per unit of gas required to execute the transaction. gasLimit: the maximum amount of gas that the sender is willing to pay for executing this transaction. This amount is set and paid upfront, before any computation is done. to: the address of the recipient. In a contract-creating transaction, the contract account address does not yet exist, and so an empty value is used. value: the amount of Wei to be transferred from the sender to the recipient. In a contract-creating transaction, this value serves as the starting balance within the newly created contract account. v, r, s: used to generate the signature that identifies the sender of the transaction. init (only exists for contract-creating transactions): An EVM code fragment that is used to initialize the new contract account. init is run only once, and then is discarded. 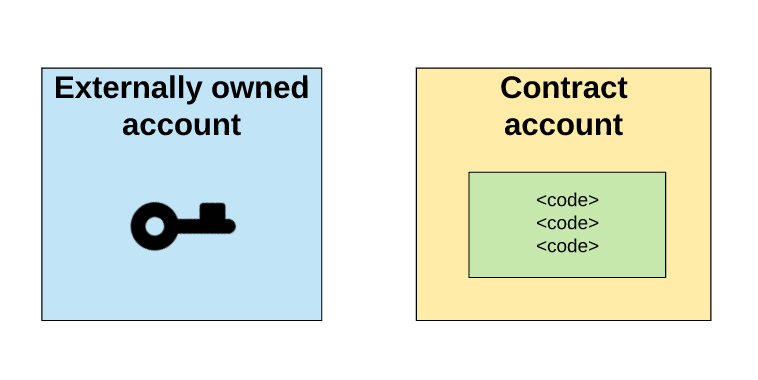 When init is first run, it returns the body of the account code, which is the piece of code that is permanently associated with the contract account. data (optional field that only exists for message calls): the input data (i.e. parameters) of the message call. For example, if a smart contract serves as a domain registration service, a call to that contract might expect input fields such as the domain and IP address. a set of other block headers for the current block’s ommers. any data associated with these events. The transaction must be a properly formatted RLP. “RLP” stands for “Recursive Length Prefix” and is a data format used to encode nested arrays of binary data. 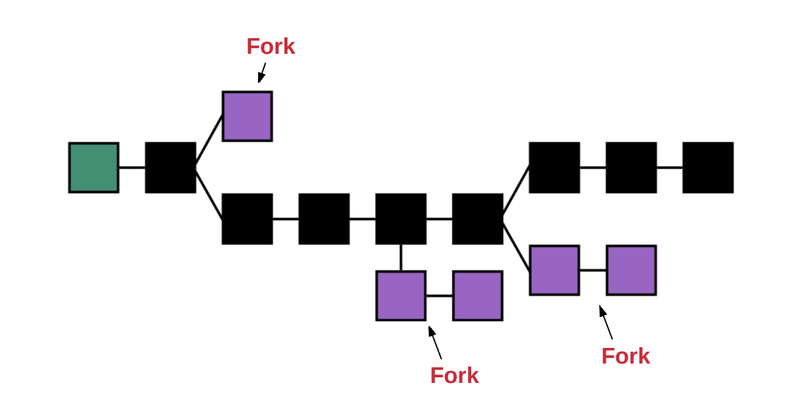 RLP is the format Ethereum uses to serialize objects. Valid transaction nonce. Recall that the nonce of an account is the count of transactions sent from that account. To be valid, a transaction nonce must be equal to the sender account’s nonce. The sender’s account balance must have enough Ether to cover the “upfront” gas costs that the sender must pay. The calculation for the upfront gas cost is simple: First, the transaction’s gas limit is multiplied by the transaction’s gas price to determine the maximum gas cost. Then, this maximum cost is added to the total value being transferred from the sender to the recipient. Self-destruct set: a set of accounts (if any) that will be discarded after the transaction completes. 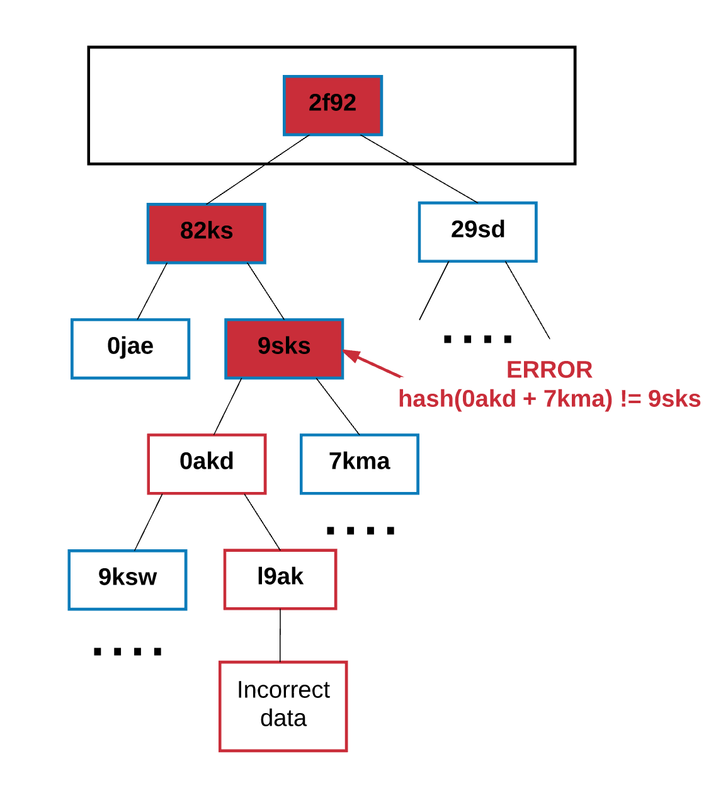 Log series: archived and indexable checkpoints of the virtual machine’s code execution. Refund balance: the amount to be refunded to the sender account after the transaction. Remember how we mentioned that storage in Ethereum costs money, and that a sender is refunded for clearing up storage? Ethereum keeps track of this using a refund counter. The refund counter starts at zero and increments every time the contract deletes something in storage. As the code to initialize a contract is executed, it uses gas. The transaction is not allowed to use up more gas than the remaining gas. If it does, the execution will hit an out-of-gas (OOG) exception and exit. 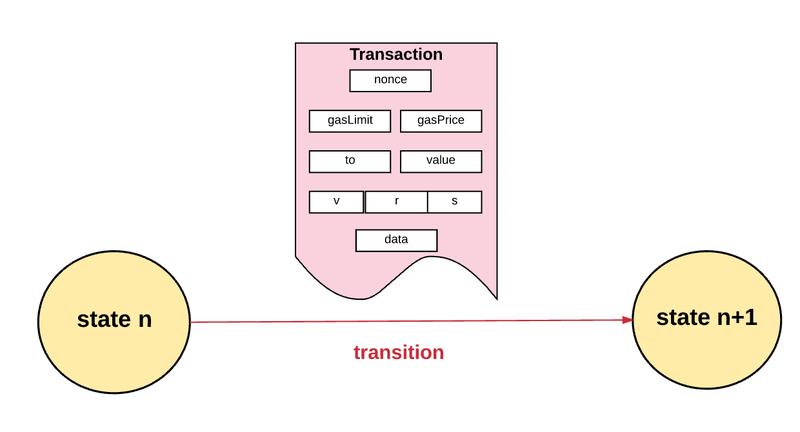 If the transaction exits due to an out-of-gas exception, then the state is reverted to the point immediately prior to transaction. The sender is not refunded the gas that was spent before running out. Make it accessible to as many people as possible. In other words, people shouldn’t need specialized or uncommon hardware to run the algorithm. 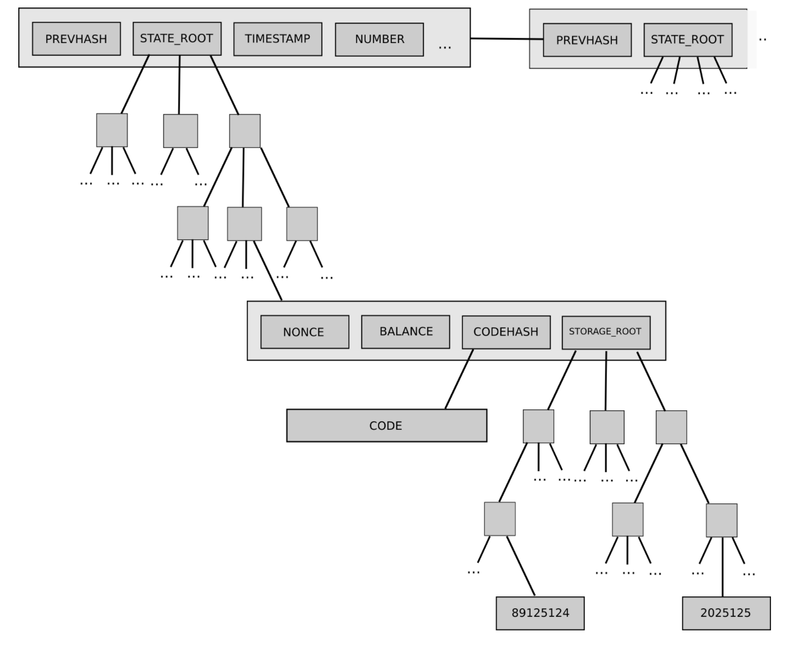 The purpose of this is to make the wealth distribution model as open as possible so that anyone can provide any amount of compute power in return for Ether. Reduce the possibility for any single node (or small set) to make a disproportionate amount of profit. 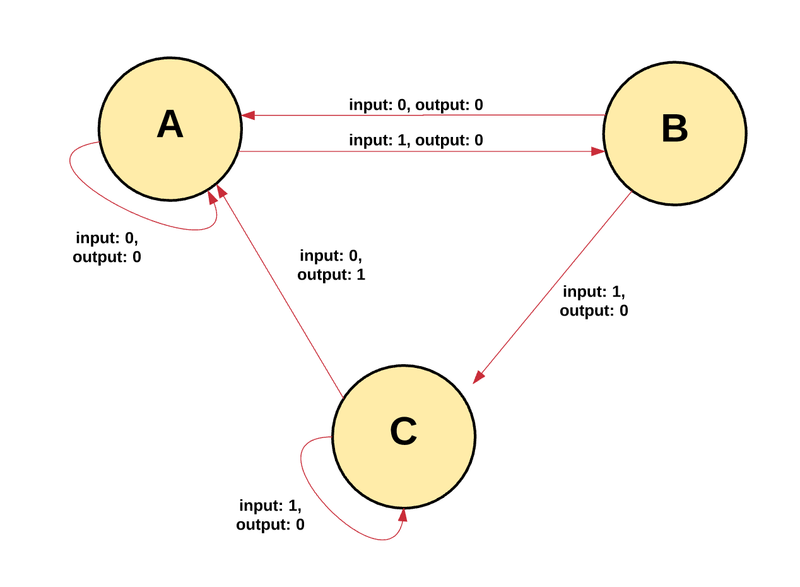 Any node that can make a disproportionate amount of profit means that the node has a large influence on determining the canonical blockchain. This is troublesome because it reduces network security.